I first came across Turkish eggs or çılbır (Chul-burr) in Plenty, and ever since then, it’s been popping up everywhere. This column here, this other one here, and even in Nigella’s new book, At My Table. When we were in Goa two weeks ago, my cousin ordered it at Cafe Bodega, and mum and I fell in love with it. It’s never easy to get mom to agree to test a recipe that calls for unusual pairings, so it was a good thing we sampled it together. I did an Instagram poll and found that MOST people think that yogurt and eggs don’t go well together, even if it’s thick, creamy greek yogurt. And i’m here to tell you to have a little faith. 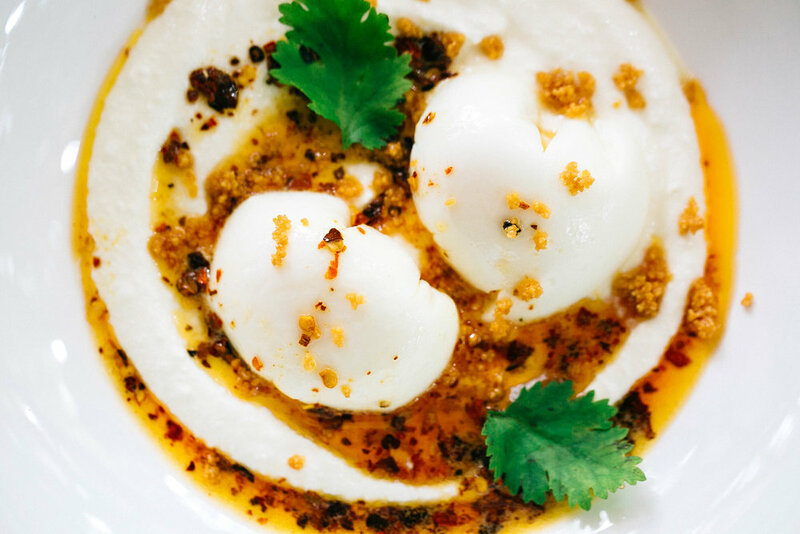 The yogurt extends the creaminess of the egg, and the chilli butter or chilli oil cuts through it with spice and pungency. The hardest part in this whole thing is poaching an egg, and really, if that’s something that makes you nervous, you could always just top it with a fried egg and call it a day. 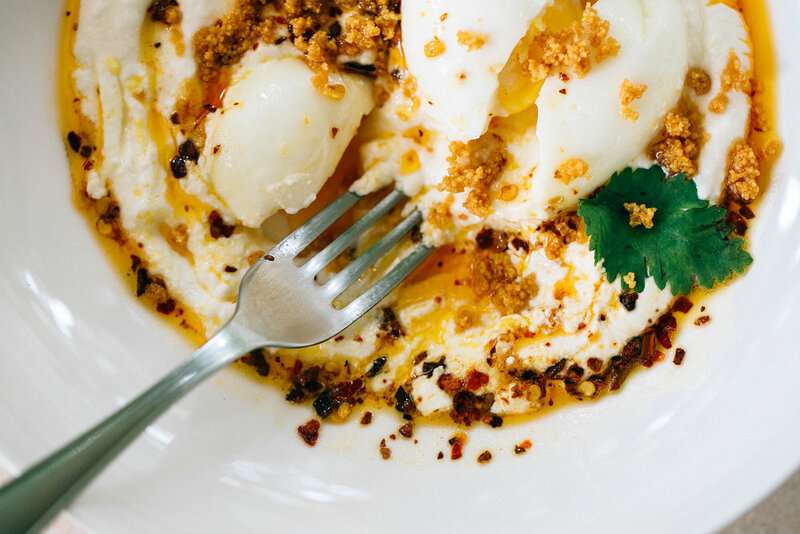 About 10 eggs have died in the making of these here poached eggs, but what we have found is that Juan Mari Arzak's cling film method works decently, even if they do come out a little weirdly-shaped. Nigella's method here (at 4:50) looks easy and flawless, so we'll have to give that a go, as well. NOTE: We’ve followed this recipe, not very exactly, because what you’ll find is that it’s one of those dishes that requires guidelines rather than actual instructions. The reason we chose this particular one over all the others on the interwebs is because of the extra element, milk crumbs, that are added as a final flourish. This isn’t traditional, but it really does add another dimension of flavour and texture. 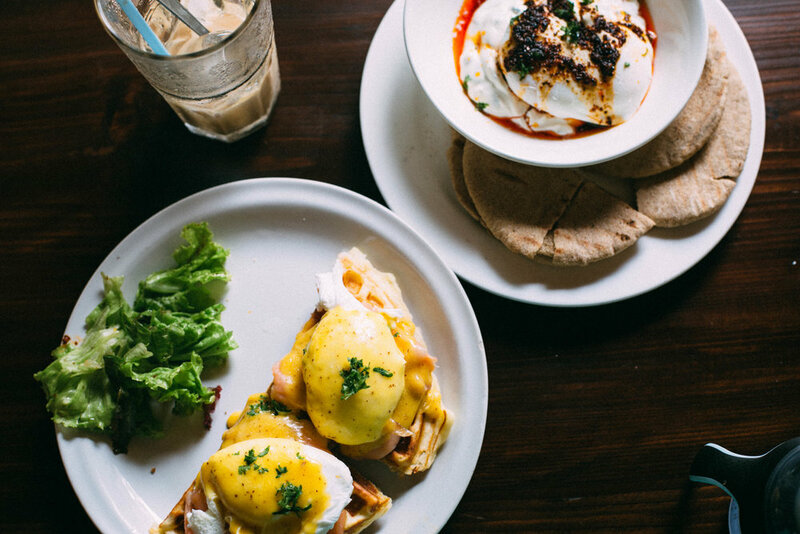 If it’s a low-key breakfast, skip it. If you’re trying to put together a showstopper, this is your secret weapon. Also! The pictures above are from the only day I carried a camera around with me in Goa. In a saucepan on a medium flame, heat the butter until melted. Add the milk powder and stir continously for 4-5 minutes until it turns golden. Remove from heat and spread it on a plate lined with a kitchen towel. When ready to use, gently scrape with a spoon or a knife. Heat the butter on a medium flame and when melted add the chilli flakes. Stir, let it bubble for a minute and take it off the heat. On a low flame, gently heat the greek yogurt with the garlic and salt. As soon as it is warmed through, take it off the flame. Fish our the garlic and discard. In a wide-mouthed bowl, or plate, spread out the yogurt making a well in the centre. Add the eggs to the centre, and pour the chilli oil around it. Top with the milk crumbs and coriander or mint, if using, and serve immediately with warm pita.